1993 Joins Lotus Development Corp.
1995 Joins Digital Equipment Corp. Clues to Ilene Lang’s future success as an entrepreneur, executive, and women’s advocate were evident in her teens. 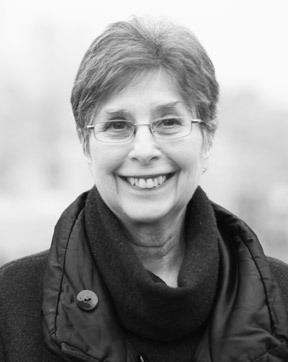 The oldest of three children in a devout Jewish family in Chicago, she ran a business tutoring Hebrew to boys preparing for their bar mitzvot, participated in student government, and applied to the college she’d determined was the best in the country: Radcliffe. “I was a feminist early on,” says Lang, whose life’s work includes building a picture-framing store and a photo business, blazing a trail as a high-tech leader, raising three children, and advocating for women. Lang entered the nascent world of technology in 1982 when she joined Symbolics, an all-male, MIT-led, artificial intelligence startup. She had learned about computers working as a technical writer after earning a degree in history and literature from Radcliffe. “I was the only MBA, and I grew with the company,” says Lang, who became VP of software and helped take the company public. Along the way, she developed policies that enabled women to thrive at work—telecommuting (before it had a name) and flexible scheduling, among others. That fact hits home for Lang, who retired from Catalyst in 2015 and remains a strong voice for women’s rights. When she was interested in joining Catalyst, Lang was dating Neil Berkson, a high school boyfriend who contacted her after seeing her on the cover of the Boston Globe Magazine. Working for Catalyst would mean moving from Boston to New York, and she worried that could mean the end of their relationship. “How could what’s good for you not be good for us?” asked Berkson. Today the couple lives in Greenwich Village and has built a life together focused on civil rights activism, friends, and their blended family.